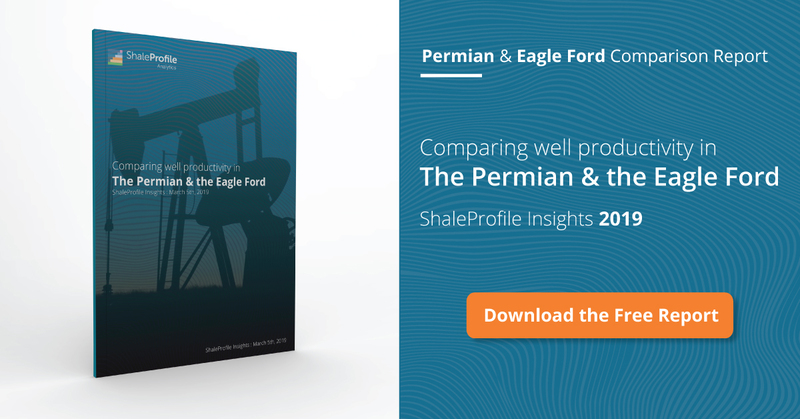 This interactive presentation contains the latest oil & gas production data from 11215 selected horizontal wells in the Permian (Texas & New Mexico) that started producing since 2009/2010, through April 2017. Oil production from horizontal wells is still growing in the Permian, at a pace comparable with 2016. As usual not all production reports for the last few months are in, and therefore I expect to see further gains in recent months after revisions are published. If you switch “Product” to gas, you’ll see that this growth story is similar for natural gas production. However, as the colored areas reveal, the natural decline rate for gas is quite a bit lower. With lateral lengths still increasing, and proppant volumes rising even faster, initial productivity has also grown, as displayed in the “Well quality” tab. In the New Mexico portion of the Permian for example, the average length of the horizontal laterals increased in 2017 by 10% over the preceding year, while proppant volumes are even around 30% bigger. In the “Well status” tab, the number of wells that start producing each month is shown. The steep drop since January gives a good indication on how incomplete the data since then is. In the last tab we can see the performance of the top 5 operators in this region, which together make up about 1/3rd of the total output. As the blue curve at the top shows, horizontal wells that started production in the first quarter of 2017 are doing on average more than 700 barrels of oil per day in the first full month on production (which is the 2nd calendar month). That is not only a new record in this area, but also higher than we’ve seen in the other basins (see my other posts to compare this). The “Well status map” overview shows how all these horizontal wells are distributed geographically. In the coming month I will perform a thorough upgrade of the way Texas data is processed, which should increase the completeness and accuracy of the data quite a bit further. Next month I’ll be happy to show you the results of this. Coming Thursday or Friday I will have a new post on all covered US states (10 by now!). Together with that post, I will also make the new data structure available for purchase, which may be interesting for those of you who would like to have the underlying data. The new structure contains far more information than is in the Excel files which are currently available; e.g. well depth, wellbore location & completion data. If you would like to see exactly what is in it, you can already have a look at the following document, which explains the new structure : ShaleProfile Database Description.